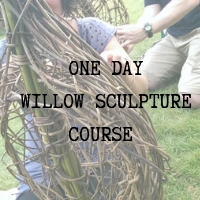 Week 1 – Tools and equipment, willow types and preparation for sculpture, how it is grown for craft, where to source it and tips on how to grow your own. 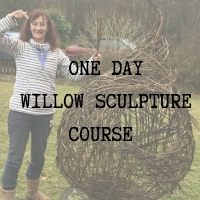 Preparing the armature and your willow ready for the following session. 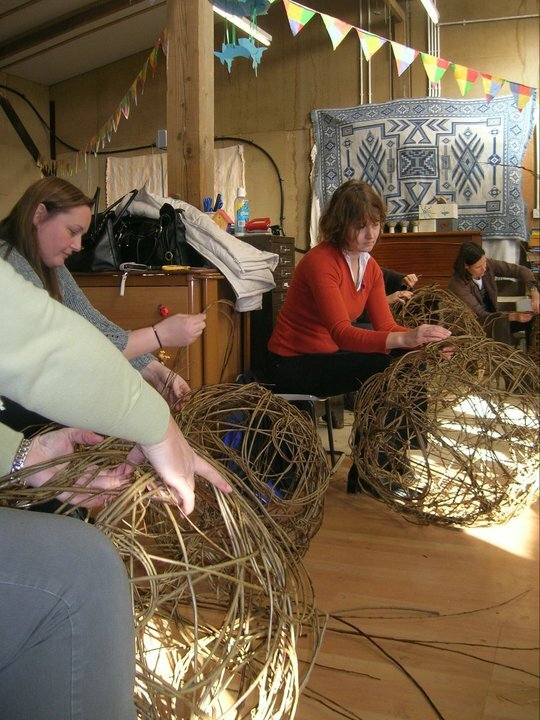 Week 2 – Starting your Sphere: binding, weaving and sewing techniques. Maintaining shape and form. 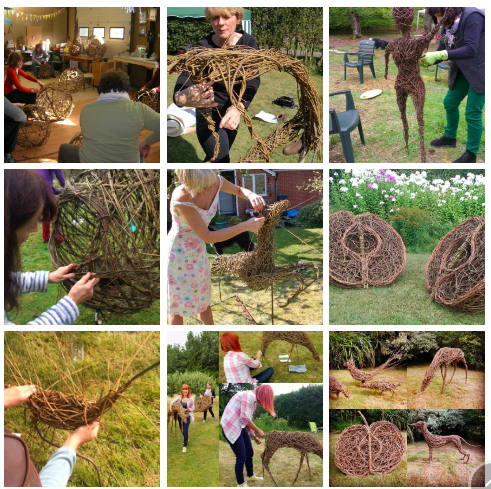 Willow prep. 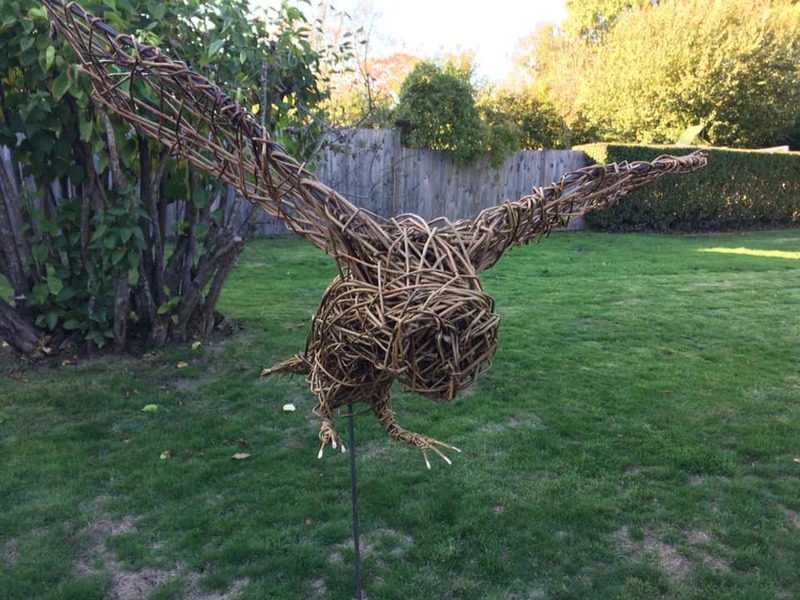 Week 3 – Finishing your sphere: weaving and sewing techniques. Maintaining shape and form. Researching/studying images for next sculpture. Armature preparation for next sculpture. Willow prep. 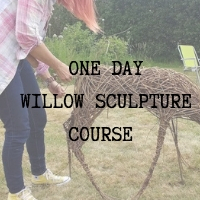 Week 4 – Sculpture methods. Binding, weaving and sewing techniques. Maintaining shape and form. 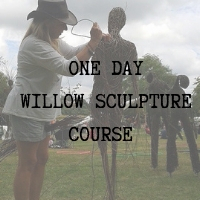 Willow prep. 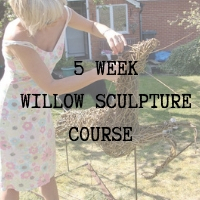 Week 5 – Sculpture methods. Binding, weaving and sewing techniques. Maintaining shape and form. This course is undercover but outside, so you will need warm clothes. On cold days there will be a fire pit outside or stove in the clubhouse. Refreshments (tea/coffee) plus a light vegetarian lunch are provided. Venue: Pirbright – Private woodland with clubhouse and flushing toilet facilities. Get your booking in ASAP as a maximum of 6 places are available on this course to ensure everyone gets as much individual attention as possible. Please email us if you have any further questions regarding the course.